We'll begin by adding the Ship Date to our Order List Form. We'll add an option box to the bottom of the Order List Form to show Shipped Orders and Unshipped Orders, plus a sort method. 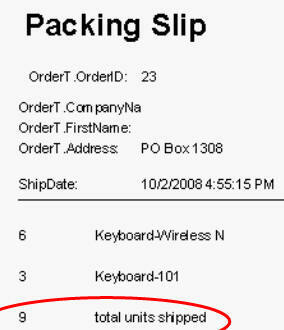 We'll create a Packing Slip report showing the items packed. You can print this out to be included with your shipment. (Yes, I know... the screen shot here shows the report before it was cleaned up nicely, but you should know how to do that... it's just some simple formatting). Next we'll make a button for handling Returns. This basically cancels the shipment and puts all of the items on the order BACK into inventory. We'll write some code to deal with MANUAL items, which are items you need to ship that aren't in your product table. 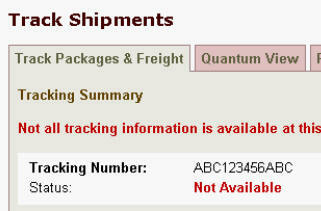 Next we'll make a form to collect the shipment information, such as the ship date, method, and the tracking number. You'll learn how to launch a hyperlink to open your web browser and look up a package on the UPS, FedEx, and USPS web sites. The point is that you don't want to delete old orders. Mark them inactive (or change them back to quotes if you want) but keep the data JUST IN CASE. 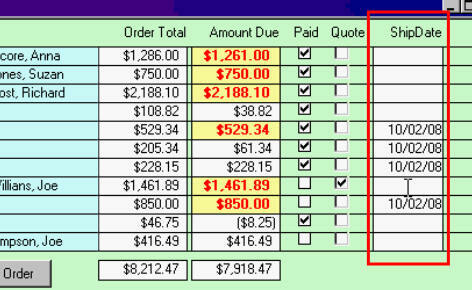 Shipping an order that isn't paid for is just a matter of changing the logic in your VBA.